I have for you a bulleted list of features of the phone and of news to come out of the announcement itself. Well go on. Hit the read more already. You know you want to. So what, out of all that talking, do I think we need to look out for? Firstly the voice recognition software on this phone looks very promising. My blackberry can call anyone I choose using nothing but my voice commands but what if I could tell my phone what to tweet or SMS while I was doing something else and then post or send my snippet without ever having to look at my phone? That’s one of the most interesting pieces of news to come out of this announcement. 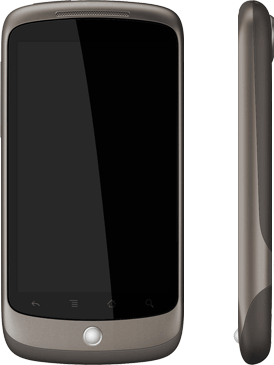 Android 2.1 will allow this voice recognition and more features to be used not only by the Nexus One but also to such new Android phones like the Motorola Droid. That’s good news for all of you Droid owners out there who might have thought that maybe you bought too soon; fear not for Google hath not forsaken thee. The Nexus One goes on sale today for $530 unlocked and $180 on T-mobile with your usual two-year blood-pact. Now when I say that the phone is unlocked that means that you can use it on any GSM network, however, it does not currently support the frequencies needed to connect to AT&T’s 3G network (it can still use EDGE thought). I for one am super excited to get my hands on one of these and see for myself what the perfect android experience should be like. I love Android and I can’t wait to see even more come out of the noble halls of everyones favorite internet company, Google. Tagged android, announcements, cell phones, Google, HTC, News, nexus one, smartphones, spec list, tech.